There are certainly two sides to the story involving the Ninth District constituent who reported District Representative, Dr. the Hon. Hubert O’Neal to the Leader of the Opposition, Hon. Julian Fraser. In his complaint the resident claimed that Hon. O’Neal was unavailable to meet with him on the numerous occasions he traveled to Tortola from Anegada. However, the District Representative refuted the resident’s claim stating that the man had an opportunity to see him, but made no mention of his issues. The story of the neglected constituent was first raised by Hon. Fraser during a 2 November public meeting in Virgin Gorda, and was subsequently rebutted at a similar public meeting that was held by Ninth District Representative, Hon. H. O’Neal at a meeting on 9 November. In prefacing the complaint Hon. Fraser announced that certain shortcomings will surface for any Ninth District Representative who does not have long reach, and he stated that the letter was a perfect example. Hon. Fraser said that the letter was addressed to Hon. H. O’Neal and copied to him, and was mainly about the constituent’s inability to meet with the Representative after several failed attempts. In his presentation at the meeting Hon. Fraser told the gathering to note the days the resident attempted to see Hon. O’Neal, and appreciated that the sender had travelled from Anegada to Tortola on each occasion, and had gone to look for the Representative to see him, but had no success. The Opposition Leader pointed out that the letter was postmarked 10 October, and he said that he called the individual on Friday 25 October, and was able to hear the man’s complaints. “I was also told of the senior citizens’ center which closed in August and at the time there was no food for the seniors, and neither was there any food in September when it reopened. Reason being, ferries allegedly refusing to bring food from Tortola due to Government’s failure to pay for the service…The sender has made a simple request, and that is that the Representative establish regular office hours on the island of Anegada so his constituents can meet him,” Hon. Fraser added. Hon. 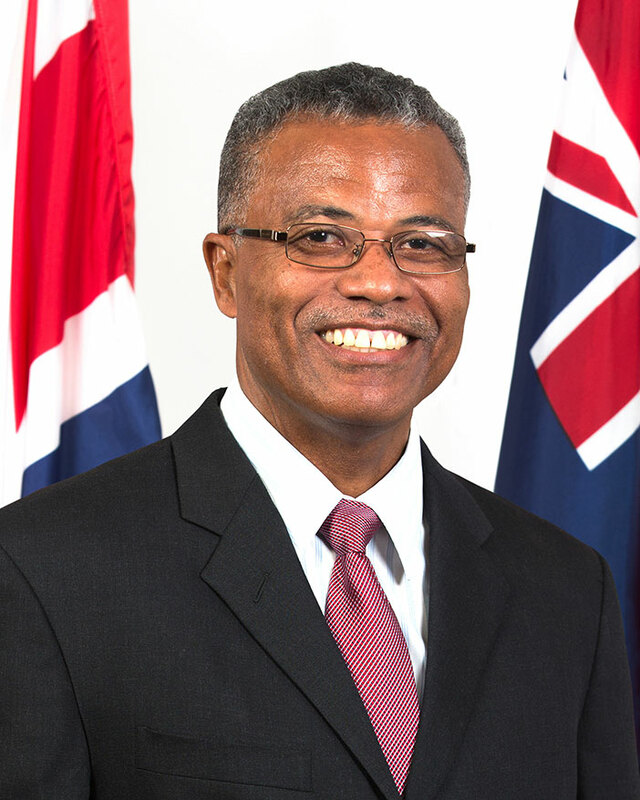 O’Neal took offence to the matter and stated that he could not understand why the Leader of the Opposition made the situation public, and why the resident didn’t mention his many attempts when he visited his business for medical attention. “When I investigated it further it turned out to be a man I know very well, actually he is my patient and I had just seen that man and treated him at my office just two months before. So, if he could find me in my office, and I could treat him how come he couldn’t find me as District Representative, something aint odd about that,” Hon. O’Neal asked his constituents at the meeting.